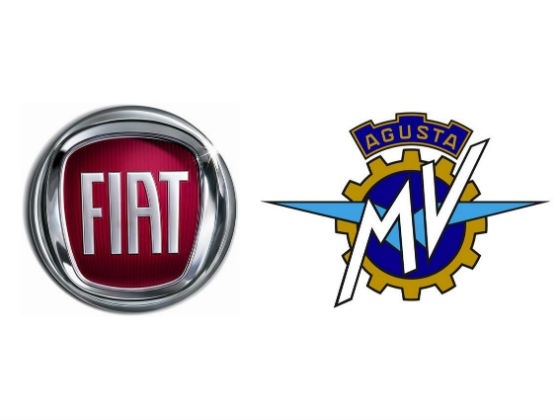 Italian website moto.it is reporting that the giant auto manufacturer Fiat is in preliminary discussions with MV Agusta regarding either a purchase of MV, or an investment. Somewhat reminiscent of Audi’s recent acquisition of Ducati, the Italian automobile manufacturer might be looking for a premium motorcycle brand to use not only for its potential profitability, but also for purposes of brand awareness and enhancement for Fiat and its many marques (among them, Alfa Romeo). This is reported as in the rumor stages, so stay tuned. So that makes MV Agusta a 2-wheeled Dodge? Yikes! Or a 3 cylinder 500. OR…A 2 wheeled New Holland Tractor(Fiat Owned)…. Who didn’t plan a toga party, who wouldn’t buy a Italian suit, who doesn’t lust after a Ferrari? Passion, VW wanted it, they went after Ducati. Fiat has passion with Ferrari, Maserati and Alfa. I think it looks like a good fit, but what do I know about business? Still stuck in the 70’s? fast forward 40 years…….. Fix it again tony owns the controlling share in your beloved Chrysler…. Actually the name of the new company is “Fiat Chrysler Automobiles” or FCA for short and Fiat owns 100% of Chrysler. I agree Fiat has the resources to build MV up and few would object to such a merger. Wow, MV Agusta bikes will now be reliable! Oh, wait a minute…. Reliability is not MV’s problem, distribution is. Ha ha ha ha ha ha ha ha. Ha ha ha ha ha ha ha. Neither brand is especially interesting to me. Maybe together they will be better than the sum of their parts. I hope so. Fresh blood would be nice. Yeah right, I definitely want to by my bike from a car dealership, it’s already bad enough at a bike dealer. The biggest is problem is, What Dealerships? There are only a handful now, with Fiat that would change. You might want to have a look at the Alpha Romeo 4C that just hit the streets. Fiat and all itss holdings has some impressive machines. MV could use some cash and this link would keep it Italian, if that matters? This is fantastic news, MV Agusta is producing some great bikes, but they need distribution, and FCA has that. A showroom with Maserati, Alfa Romeo and MV Agusta Motorcycles would be a good fit. I hope it happens, and soon. I would agree with you. MV Agusta is right on the verge of becoming a major player and this migh push them over the top. I would consider one of their bikes if the had a better dealership network and this could give it to them if they do it right,. Fiat’s going to buy them? What a laugh,more like Chrysler is going to buy them.Wish it was Moto Guzzi instead and we could get an employee discount! Don’t look now but Fiat just recently sealed the deal for the rest of Chrysler! I think there might be some synergistic potential to the two brands under one corporate roof. Italy has been building some attractive products. So when they finally end up bankrupt, they can take MV down with them? That’s what I thought, Fiat is or was close to bankruptcy, and now they MAY be thinking about buying MV?? I guess like when K-Mart was near bankruptcy and decided to buy Sears, now both are still floundering in my opinion, and the merger didn’t help either one as far as I can see. Fiat managed to get a massive chunk of cash from GM when GM bailed out of their partnership. I think they’re doing fine at the moment, but the next few years will tell the real story. If they can’t release good product in the US from both their Italian and US marques, it could go pear shaped pretty quickly. don’t know much about Fiat’s financials, but I do know they’ve entered back into a market where cars are consumed with reckless abandon…? and buying decisions are made on nothing more than a vehicle’s “novelty”. I’m thinking they’re going to be just fine. hyundia (and willis) knows what I’m talkin’ ’bout. Yea, and don’t forget about China. It’s auto market is probably only half developed and yet it buys more vehicles than the U.S. now. With China coming on line, you have to be bullish about most of the auto industry. Strong growth potential for the forseeable future. Also, Southern Europe and the Mediterranean world and culture needs an auto manufacturer. Will it ever be super successful? Probably not cause the people in that region are lazy and don’t like to work much – they have other priorities – but they do just enough to get by and same can be said for their auto industry.